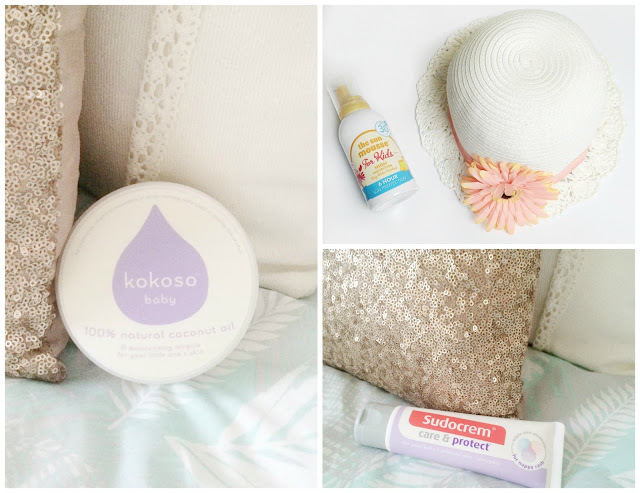 Kokosa Baby Coconut Oil - this product is ridiculous! The amount of things it can do is unreal. I use it on Isla's skin, I use it on my skin, I use it to take off my eye make up (best mascara remover EVER), I use it as after sun, I use it to cook...the possibilities are endless. I would highly recommend getting a bit of coconut oil in your life if you haven't already. You don't know what you are missing! The Sun Mousse - with the weather starting to heat up this past week, sun cream has crept back into our changing bag. This sun mousse is sun cream with a difference. It comes out as a light, non sticky mousse. We love using it because it is super easy and quick to apply, which is very, very important when it comes to applying sun cream on a baby! It lasts for up to 6 hours and comes in factors 30 and 50 for kids and 20, 30 and 50 for the rest of the family. This will be a favourite all summer long! Sudocreme Care & Protect - Isla's poor little bum bum has been having a tough time of late and this little beauty of a product has been helping us get through it. I love a bit of Sudocrem. I'm known to use it on my skin when it breaks out and I can't get enough of the smell. This is a daily version of the Sudocrem we all know and love. It creates a protective barrier that seals in skin's natural moisture and protects delicate skin against irritants. We've noticed a big difference in Isla's skin since we started using it and although I don't like using products on her skin daily, I could make an exception for this one. 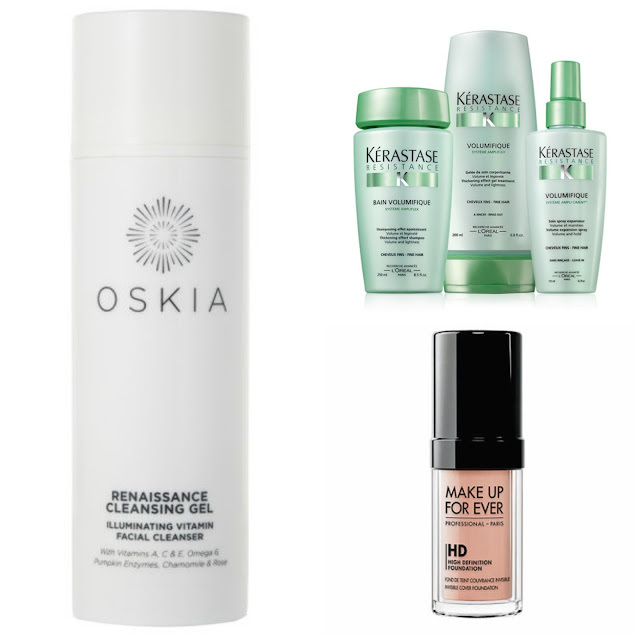 Oskia Renaissance Cleansing Gel - I bought this after reading about it on numerous beauty blogs and in various magazine and I have not been disappointed. It is such a great cleanser. I'd easily say it's the best one I've had in years, alongside Liz Earle's Hot Cloth Cleanser. It smells great and leaves your skin so fresh, clean and soft. Kérastase Volumifique Shampoo & Gel - this shampoo is amazing! You only need the tiniest bit and it foams up lovely for washing your hair. It has really helped to thicken my hair out and improve it's overall condition. The gel is a treatment that you use after the shampoo t further the thickening effects. Smells fab and gets top marks from me. What are your mum and baby faves this month?